"A must to go with Polish sausage and sauerkraut! I didn't want to dig for my paper copy of the recipe, so I thought I'd search for it and I was shocked it wasn't on here." Mix potatoes, flour, cereal, eggs, egg yolks, and salt together in a bowl using your hands until the mixture comes together into a workable dough. Roll dough into 4- to 5-inch long logs with the diameter of a quarter. 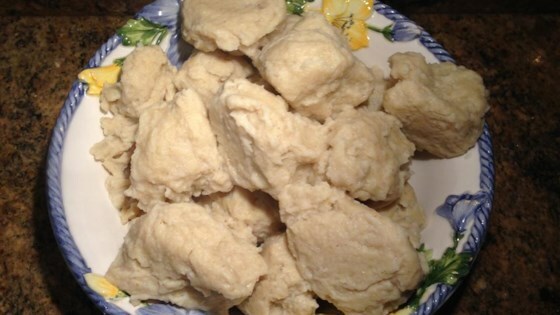 Bring a large pot of water to a boil, add the dough logs, and cook until the dumplings float, about 15 minutes. These are the bomb!!!! Just like my Czech Grandmother made! Thank you, thank you!! !